Surely the urge to spear a fish goes back thousands of years, to when hungry men and women first peered into the water and saw those beautiful and tasty creatures just out of their reach. As soon as they figured out how to see underwater the hunt was on. 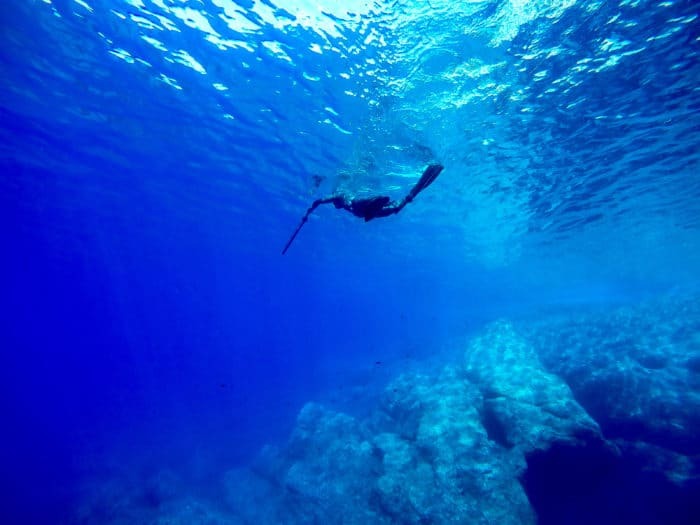 Although spearfishing is a similar activity worldwide, it is also as different as the destinations where it’s practiced. Fish are not the same everywhere and neither is the equipment made to hunt them. An example is polespears and slings popular in the Bahamas and Bermuda compared to spearguns found all over the rest of the planet. Spearguns are unique in design as well, often due to the differences in the underwater terrains and the waters where they are found. Spearfishing regulations and diving methods vary from one country to another and sometimes from state to state. Of the Seven Seas only the North Atlantic Ocean, South Atlantic Ocean, North Pacific Ocean, South Pacific Ocean and the Indian Ocean are realistically suitable for divers to Spearfish, along with much lesser areas in freshwater lakes, ponds, rivers, and streams. 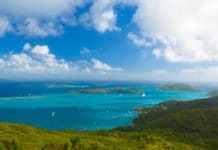 Areas of origin for spearfishing throughout the world include the Mediterranean Sea, USA coastlines and islands, Caribbean Sea, Central America, South Africa, Australia and the South Pacific islands. Spearfishing has come a long way from just being a way to put dinner on the table. 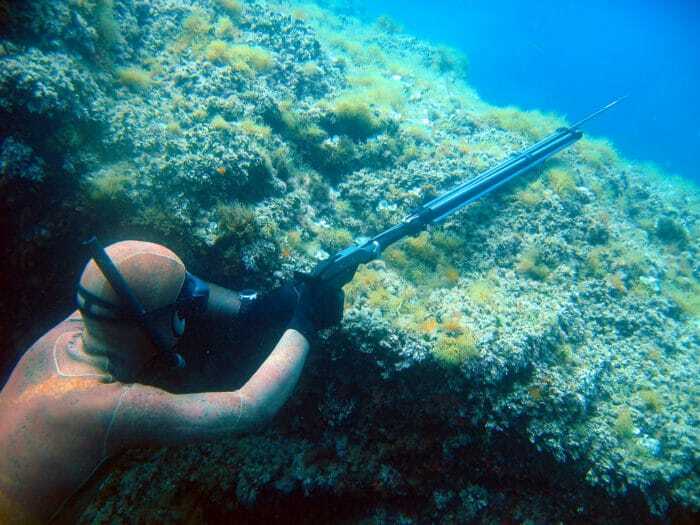 Many divers in spearfishing hot spots formed clubs and organized tournaments. 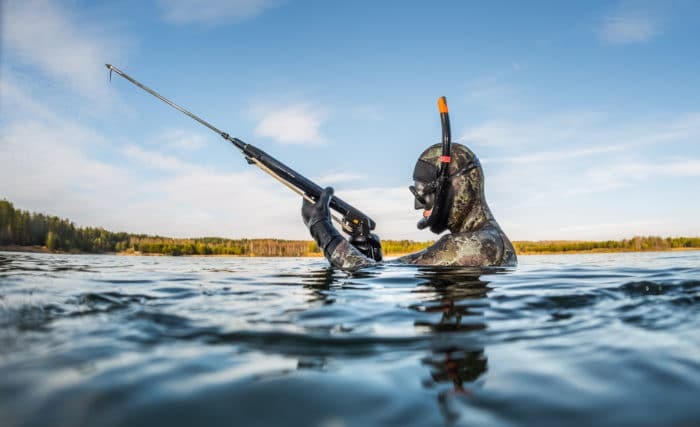 In a period of 60 plus years not only has spearfishing become a competitive sport but it has also spawned an industry around it. Dive shops started popping up and companies began producing diving equipment as well as spearfishing gear. In the last 15 to 16 years spearfishing has seen extreme growth, especially while freediving, due to the rise in freediving training courses from international training agencies. Today divers are traveling to remote destinations worldwide in search of world record fish. At the same time spearfishing has been a leading segment of overall fishing to recognize and practice sustainable fishing. Divers are the first to see stresses to the marine environment and the effects of not only fishing but also habitat loss and climate changes. Although much spearfishing occurred prior to the rise of competitive spearfishing, very little of it was consistently recorded. In 1947 some early dive clubs began forming an organization to standardize spearfishing regulations around the world and in 1950 the International Underwater Spearfishing Association, (IUSA) was founded. World Spearfishing Records with photos and information have been kept ever since and can be found on their website. 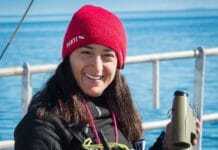 The organization has changed with the times, closing the 220th-century records at the end of 1996 due to changes in regulations and starting the 21st-century records. The IUSA also added new categories for slings and polespears in 2013 which stimulated hunting new world records using more primitive gear. The World Underwater Spearfishing Competition is organized by the Confédération Mondiale des Activités Subaquatiques (CMAS) which was founded in 1959 and comprises over 130 federations from 5 continents organizing international underwater sporting events. Spearfishing information and competition results can be found on their website. Today many spearfishing national and state records and competitions can be found online as well. For me, the urge to spearfish started as a teenager in the late sixties but was delayed by a toy speargun I bought from Sears after the tiny spear bounced off an unknown fish at point blank range. My budget forced me to wait until I was old enough to get a better paying job and real diving gear. In the summer of 1972, I bought the longest Voit Swimaster speargun I could afford and soon ventured offshore from my hometown of Saint Petersburg, Florida. A local dive shop chartered a fishing boat to take a bunch of divers to a special wreck in the Gulf of Mexico about 110ft/34m deep. All the guys were much older than my buddy and I, so we watched at first while they jumped in and started skin diving (today it’s called freediving) into the green but clear water schooling with big fish. Soon we hopped in and were surprised at how deep they were diving and immediately speared several fish. The divers and fish looked so tiny down there but grew huge upon ascent, and the wounded fish was thrashing all around! I had to give it a try so down I went to about 20 feet and pulled the trigger, hitting the only fish I knew, a fairly big barracuda, and it didn’t move at all. I caught some looks from the experienced divers at the back of the boat and it felt pretty good! But my next dive didn’t go so well, because the fish I approached didn’t want to get speared. I chased him and took a poor shot hitting him in the middle of the back, and he took off pulling me down several feet before I could stop him at maybe 30 feet. The fish wasn’t getting deeper, nor was I getting any closer to the surface, it was a standoff. So I fought harder while looking up at the surface and noticing nobody was watching me… I was all alone! Suddenly the line snapped and I blasted to the top popping out of the water with no fish and no spear, but I was alive! The older guys laughed and said “Tough luck Kid.” On the ride back to shore I found out the fish that nearly killed me was an amberjack and that those deep diving guys who identified it were all members of the top Florida Skin Diving Association spearfishing team. Back then I was too ignorant to know how lucky I was that the speargun line broke. It probably saved my life, but at that time I cursed it. The biggest mistake I made was not having direct freediving buddy supervision. Our scuba certifications were not adequate then or now for freediving. Trying to run with the big dogs by shooting the large fish the older divers were shooting was foolish because I had no previous experience. My speargun was also not properly rigged for the style of spearfishing and the diving method I practiced. I’ll be writing in depth about all kinds of spearfishing equipment in chapters to follow. After many decades of spearfishing experience along the coastlines of the United States and the Caribbean, I can tell you that spearfishing is the most exciting adventure activity I’ve experienced. It is a beautiful and rewarding sport that has kept me entranced all these years. After obtaining multiple diving certifications and instructor certifications from six training agencies, I also know that spearfishing can be very dangerous and shouldn’t be rushed into the way I did. Elsewhere on the site, there are excellent Beginners Guides to Freediving and Scuba Diving, so check them out! Remember… Safety is First! Spearfishing should always be fun, but most importantly you and your buddies need to come home to your families after every dive day, with only a few little dings and scratches. Certification in your preferred diving style, freediving or scuba diving, is an essential prerequisite before spearfishing. Advanced dive training is also highly recommended. 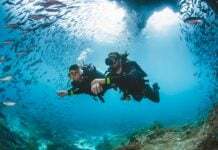 There’s an old saying “The deeper you dive the bigger the fish.” Intermediate and Advanced certified divers have learned safer ways to improve their diving depths. Specialty training is also out there in navigation, currents tides and waves, boat diving, limited visibility, wrecks and even underwater photography and videography. Spearfishing training is becoming much more available today and I’ll be writing more about it in future chapters. Experience is important too, so take shallow first drops, not deep plunges. Aim for smaller manageable fish until you’re ready to move up to larger prey. Get all the proper safety equipment and good quality diving gear. 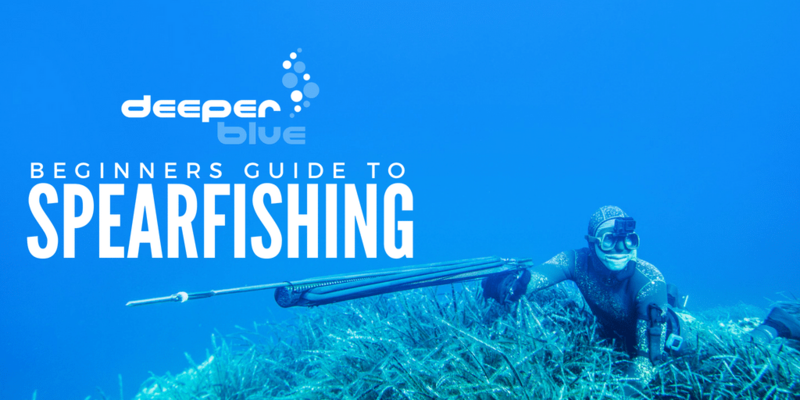 Use the right spearfishing gear for the prey you’re after and for the local conditions. Asking the local dive shops for advice is always a good idea because often they have techniques and special gear that is tried and true for their fish species and habitat. Continue reading more from the DeeperBlue.com Beginners Guide to Spearfishing. Capt. Chad Carney - Lifetime diving and spearfishing instructor.